Malcolm Turnbull was never going to go quietly into the night. Last night he raged against the dying of the light of his term as Prime Minister and made the already near impossible lot of his successor just that bit harder. By his own reasoning, his star turn on a special edition of the ABC’s Q&A program was to designed defend his legacy but, intentionally or not, it has also salted the wounds of August’s leadership spill. In the end, to borrow his own words, the only winner will be Bill Shorten. At the top of the list of things that will rob Scott Morrison of a few more precious days of oxygen, is Mr Turnbull’s charge that those who toppled him are yet to adequately explain why they did it. “Scott Morrison can’t explain it, I can’t explain it and the people responsible choose not to do so,” he said. He repeatedly made it clear that those most to blame for the “madness” of the spill still owed the Australian people an answer. He named nine, but four topped the list: Peter Dutton, Tony Abbott, Greg Hunt and his once most trusted ally, Mathias Corman. That is the question endlessly asked by Labor at the dispatch box and it will again echo in radio and TV interviews around the nation every time a coalition backbencher or minister steps up for an interview in coming days. Their answers, or evasions, will generate yet more static. Mr Morrison lashed out at an ABC journalist for asking it on Thursday, saying she was running Labor’s lines. Clearly it’s a question his predecessor also wants answered. And the former Prime Minister did not exonerate his successor of the charge he might have played a Machiavellian role in the coup, saying only he believed Mr Morrison’s claims of innocence. “That is how he has presented it,” Mr Turnbull said. He gives his successor almost no chance of winning the next election and again hinted that Mr Morrison was not an accidental PM. “He has dealt himself a very tough hand of cards and now he has to play them,” Mr Turnbull said. He laid the blame for the Wentworth by-election loss squarely at the feet of the Government, saying the way the votes broke between pre-polling and polling day proved the campaign was was lost in the final week. That was the disastrous sitting week where, among a litany of Coalition missteps, Mr Morrison proposed moving the Embassy in Israel from Tel Aviv to Jerusalem. 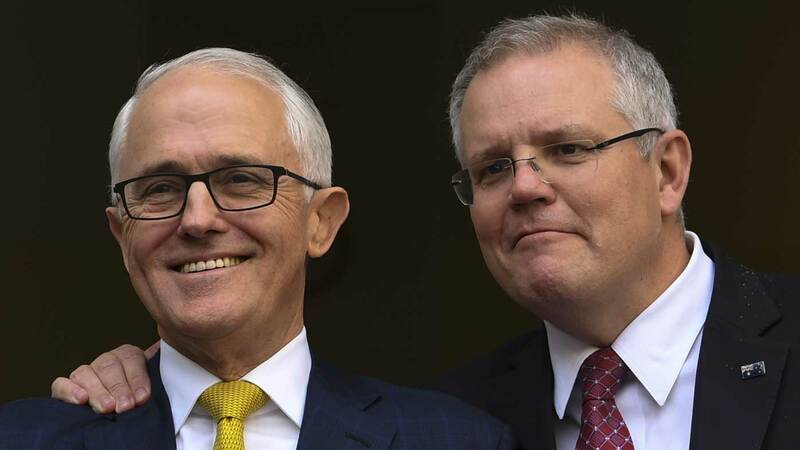 The commentators on Sky and 2GB will be delighted by the rich fodder on offer last night, wallowing as they do in the theory that Mr Turnbull is determined to destroy the coalition. And he tossed them an even tastier morsel by again attacking their rabid business model. So for the next little while they will be able to do what they love most: talk about themselves and feel outraged and aggrieved. He also claimed that the conservative commentators were helping to push the Liberal Party further from the centre, making it ever more un-electable. Mr Turnbull confirmed the reports that he rang media titan Rupert Murdoch to complain about his rougher than usual handling by parts of News Corp, saying it was personal and irrational. There was much much more for those inside what Mr Morrison derides as those tragics who live inside “the Canberra bubble”. His problem is that’s where his party lives and he has to lead it. The effect of the interview will be to enrage or dismay most of them and drive home the feeling that the knocking sound they hear is the lid being nailed shut on their political coffin. It will feed the Canberra bubble media for a few days and it will provide sport for Labor; again making the once thankless job of Opposition look easy. In some good news the former PM has declared he won’t provide a running commentary on the Morrison Government, but he casts a long shadow and is unlikely to vanish. So, one way or another, this not so miserable ghost will hang over the Coalition until it meets the people on judgement day in 2019. And the Malcolm Turnbull story isn’t over, 9News understands he is writing a book.